The germ of this particular collaborative project (full PDF of the essay here) between Hrag Vartanian and I, began a little under two years ago when someone on flickr called a fake New Yorker article to my attention that had been pasted up on N7th and Bedford in the epicenter of Williamsburg. 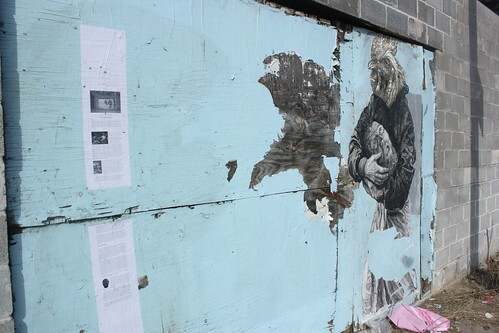 Entitled “Canal Street Swoons”, the scathing feature was pasted abutting a piece that I had committed to the streets entitled Rachel and the Wolves. 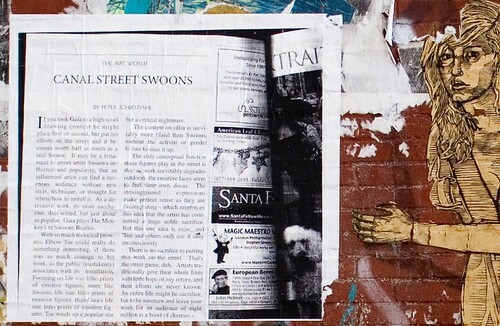 While the anonymous author was particularly trenchant in its tone regarding my and Elbowtoe’s work in comparison to Swoon, I was excited that my pieces had engendered such a vehement reaction within somebody that they wrote, designed and pasted their own essay on the street. Often, artwork in the gallery space is contextualized and its full scope realized by a supplementary text that provides the insightful background material and motivation for the piece. These auxiliary words help to complete the work and neatly establish the piece as apart of a larger narrative. 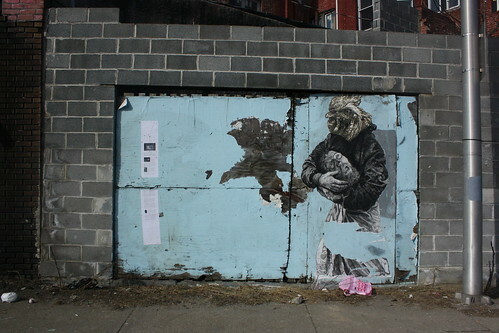 Alternatively, what is so intriguing about street art is that it exists within the space that it occupies more autonomously and mysteriously. There is no description of materials employed or sources referenced; there is rarely even an associated name or moniker present. Such a floating image without any support gives the work an enigmatic character that is intriguing but simultaneously opaque. This collaboration attempts to bridge that gap between the viewer and the art’s broader situation by producing more points of access into the work. 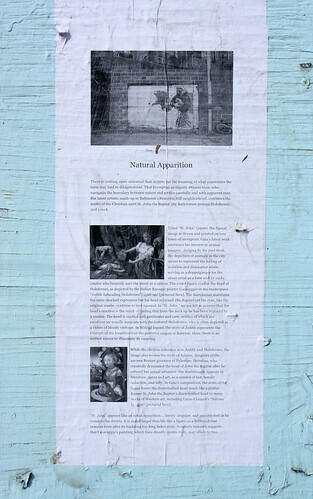 The adjacent text fills in the art historical gaps and suggests at the intention behind the seemingly ambiguous figure. Furthermore, it extends the physical conversation on the street by demonstrating another form of interaction with the environment. 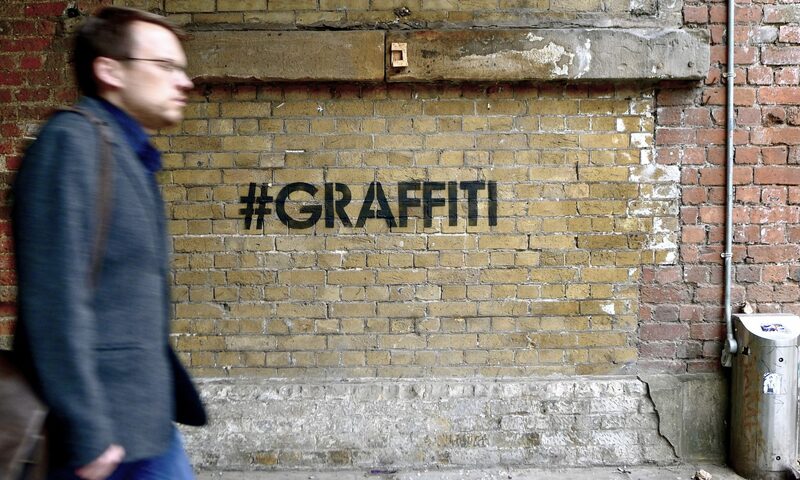 Personally, this is an exciting moment because I am hopeful that it will spur more street art criticism that will exist physically alongside its subject.